The Spanish fuel market is heavily concentrated with just a few major brands and little price competition. 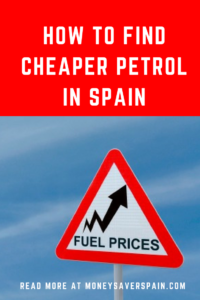 In some Spanish regions low cost petrol stations have been banned, making it even harder to save money. Take a look at our tips on how to pay less when filling your car. Any petrol company that already has 30% of the market in a province in Spain is not allowed to open any more petrol stations in that area, but this hasn’t affected the existing situation. 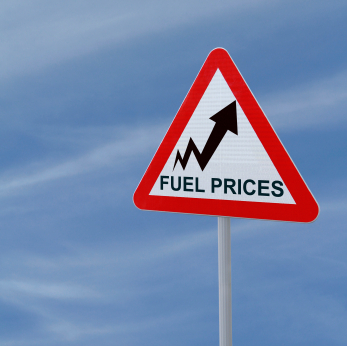 You’ll find practically the same prices at Repsol, Cepsa and BP (the Big Three). It’s hardly surprising given that together they control over 70% of the market. Added to this, Spanish consumer organisations are not in favour of unmanned low cost petrol stations. Some regions in Spain have banned them outright. The number of petrol stations located at Carrefour, Alcampo and Eroski are increasing, as well as at smaller regional supermarkets. At Carrefour every time you fill up you’ll get 8% back on your Carrefour loyalty card. If you live near a Carrefour petrol station, even if you don’t shop there normally it’s worth using their free Carrefour Club Card just to accumulate this discount. Other supermarkets offer lower fuel prices directly to attract people to shop at their stores and they may offer additional discounts or promos. Self-service locations with no extras, and normally no personnel. Prices range from 5 to 10 cents/litre lower than average market prices. Don’t expect loyalty cards, a shop or a car wash. Many locations do not offer premium fuel. To find a low cost petrol station near you, Google “gasolinera low cost (your location)”. In Spain CLH Group oversees the storage, transport and distribution of fuel to the whole country and establishes the minimum standards fuel must meet. Hence fuel sold at supermarkets or independent petrol stations is not of lower quality. Given the ongoing confusion, many locations have opted to clearly state which brand supplies their fuel, look for signs saying e.g. “Supplied by Repsol”. To justify higher prices, big brands say that their fuels contain additives to optimise engine performance. Cepsa Loyalty Card “Porque Tu Vuelves” has a points system, 1 litre= 5 points, increased by 40% when you use your local petrol station. Buy in their stores and you’ll get 15 points per euro spend. Accumulate 1000 points to get a 1€ discount. Note that Carrefour also offers 4% cashback on your Carrefour loyalty card if you use Cepsa petrol stations. BP PremierPlus offers a basic 3 cents/litre discount, higher discounts are available for more litres purchased. Discounts are not direct but accumulated in a monthly voucher. Vouchers are limited to 24€/ month, you have 2 months to use them. Register online to exchange points for each litre purchased for gifts and discount vouchers from their catalogue. Shell Club Smart gives 200 welcome points when you request their card. Each litre of fuel equals one point, exchange points for gifts from their catalogue. Galp Fast offers 1 or 2 points per litre depending on the type of fuel purchased. Galp also has a number of additional benefits with companies such as Orange, Mapfre or Asisa. Exchange points for discounts on fuel or gifts from their catalogue. Check the boxes for “most economical P.S.” (petrol station). Additional, if you live in a big city you can also put in your address and/or postcode. You’ll see a list of the current prices, you can also use their mobile version for when you’re on the move. Gasolineras España (Android & iOS).